Tours run all year, please visit our website for dates, times, Tour offerings. 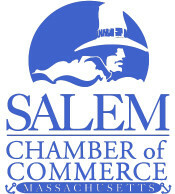 Original five-star rated guided food and cultural walking tours of Salem. Enjoy tastings at Salem's best food shops, restaurants. Great for corporate excursions. Year-round. Salem Spirits Trolley too! Tickets guests receive a Final Confirmation with meet-up details, etc.